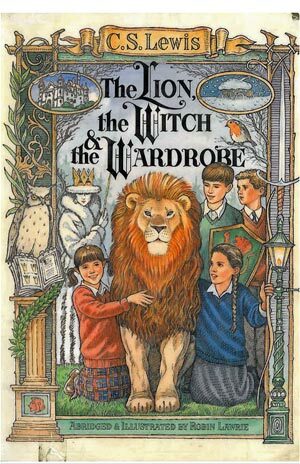 This The Lion, The Witch, and The Wardrobe review is about, this book for children, by C. S. Lewis that brings us back to Narnia, where all can happen. Best known for his fictional work, Clive Staples Lewis (1898 – 1963) was a British writer, lay theologist, broadcaster, and Christian apologist. He was an academic from Oxford and Cambridge Universities. 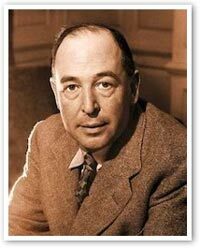 C S Lewis is famous for being the author The Chronicles of Narnia. In the The Lion, The Witch and The Wardrobe, published in 1950, a fight between good and evil is going on and a group children will play a major role in that struggle. In 1940, four children are evacuated from London to escape the German attack on the city. They are sent to live with Professor Digory Kirke, who lives in the countryside. In a rainy day, the children start exploring around the house and Lucy finds a wardrobe in an empty room. The wardrobe is a door to a snow-covered magical world. There she meets the faun, Mr. Tumnus, that tells her about Narnia and its ruler, Jadis, the White Witch, who makes has turned all season into winter… winters with no Christmas at Narnia. Lucy takes the wardrobe back to London, but none of her siblings believe in her adventures. Days later Edmund follows Lucy into the wardrobe and they end up in Narnia. Edmund fails to catch up with Lucy and, instead, encounters a pale lady (the White Witch) that introduces herself as the Queen of Narnia. She enchants him with magical Turkish delight and promises to turn him Prince and, in time, King of Narnia if he brings the other children to her castle. After the witch carries on, Lucy finds Edmund in the forest and they return together through the wardrobe. Edmund betrays Lucy denying to his siblings ever having been in Narnia. A few days later, all four children hide inside that wardrobe and are transported to Narnia. Lucy guides them to Mr. Tumnus’s cave, but they find out that Mr. Tumnus has been arrested. A pair of talking beavers shelters the children and they describe an ancient prophecy in which the sorceress’ power will fail when two Sons of Adam and two Daughters of Eve sit on the four thrones at Cair Paravel. The beavers then tell them that the true king of Narnia, a great lion called Aslan, has been absent for many years, but is now on the move to return. Edmund runs away to the witch’s castle and the others, realizing they were fooled by Edmund, set off to find Aslan. A repenting Edmund is freed just as the witch is about to kill him. Calling for a truce, the witch demands that Edmund should be returned to her, as an ancient law gives her possession of all traitors. Aslan bargains himself to replace Edmund and the witch accepts the trade and sacrifices the king-lion. Aslan is brought back to life by an ancient Deeper Magic that will bring back to life anyone who is blameless willingly offers to die on behalf of the guilty. In a final conflict, the witch is defeated by Aslan that kills her. The children become kings and queens of Narnia and spend fifteen years reigning there. When they return to London through the wardrobe, they find themselves, children again. Their years in Narnia have taken no more than a few seconds of time on this side of the door. They explain their adventures to the Professor, who tells them that they would return to Narnia one day. “The Lion, the Witch, and the Wardrobe” has biblical allusions, where Aslan is a Christ-like figure who suffers a death of atonement and returns to life, in a way comparable to Christ’s execution and rebirth. That can also be seen even more clearly in the book The Magician’s Nephew, also written by Lewis. This is absolutely a must-read book. It makes you want to read all the books from the series, “Chronicles of Narnia”. The main characters are the Pevensies, Lucy, Edmund, Peter, Susan, and also Jadis (the White Witch), Aslan (the lion), Mr. Tumnus (a Faun). Please leave a comment about The Lion, The Witch and The Wardrobe. This is a classic fantasy story for children written by C. S. Lewis. It runs in the realm of Narnia, a fantastic place where all things are possible. Congratulations on this new journey! I hope you can reach a lot of people with this new website! I love C. S. Lewis. Do you plan on writing more reviews about his books? Long time, no see! Thanks for your kind words. We do expect to achieve a lot of readers with this newly formatted book review website. Our idea is to bring an even more pleasing experience for our visitors. About your questiom, the answer is YES! In fact, we already have some C. S, Lewis reviews in line to be transferd here. Meanwhile, check out the other one we already have here, The Magician’s Nephew. Hi this is a lovely review about one of my favourite book series’. I appreciate one of the Amazon which states she is reading the book to her kids who are 5 and 8. I was wondering when I could start reading it to my own children who are 5 and 7. Perhaps now is a good time to start! Aslan was always one of my favourite book characters. I never made the Christian connection, but now it really makes sense! Thank you for your support. I guess classisc books aren’t called like that without a reason, right? The Narnia series is wonderful for kids that age, but who doesn’t enjoy it at any age? I certainly do. This is a very interesting book review. The novel seems to be fantastic. I hear that the saga can be read following 2 different sequences. Is that true? Thanks for the article, btw. You heard somewhat correctly. The books were originally written and published for the first time in a non-chronological sequence. The new publications follow it on a linear timeline. Take a look at this C. S. Lewis mini-bio for a view of them both. Cheers!